Experience the ultimate luxury at this unique Deer Valley Vacation Home! Offering 10,000 square feet and room to sleep 33 guests, experience ultimate luxury at this centrally located ski villa. Beautifully built, this duplex boasts ten bedroom and fourteen bathrooms with multiple decks and patio spaces creating the ideal getaway for multi-family vacations, corporate retreats or large groups. An entertainer’s dream, this duplex is newly constructed and was crafted using only top quality fixtures and finishes. If location is high up on your check list you’ll not be disappointed with this centrally located property. 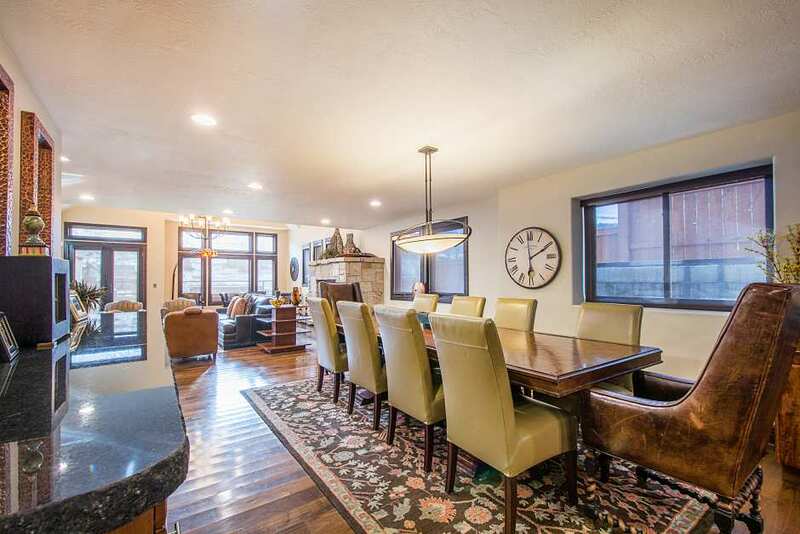 Located directly on Park City’s free shuttle route, all guests need to do is walk across the street to gain access to the entire Park City area. Main Street is only steps away as well allowing exploration of all the shopping, dining and nightlife Park City is known for. While staying at the Deer Valley Luxury Duplex, guests will relish the lavish interior, custom furnishings and professionally designed spaces. Five-star doesn’t begin to describe the level of luxury provided within this space. Everything is custom from the furnishings to the finishes. Adding to the appeal of this home are the private hot tubs, two pool tables, private indoor fitness facility, two saunas, two steam rooms and flat screen TV’s throughout. Luxury, location and careful thought to amenities make this a true ski town oasis.